← Interested in Hudson Internship? America has a budget crisis, bigger and more dangerous than the fiscal cliff. 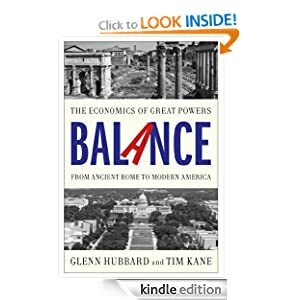 I’m reading the latest report from CBO from August 22, 2012 as we finalize our draft chapter on America’s imbalance (Chapter 12 as currently organized). This kind of spending is an existential threat, much bigger than external threats. It echoes the kind of imbalances that brought down great powers in history. Here is the scorecard on Obama’s fiscal promises, according to the CBO: the deficit in 2008 was 0.5 trillion dollars. Federal outlays were 2.98 trillion dollars. Since then, the U.S. government has run deficits of 1.4, 1.3, 1.3, and a projected 1.17 trillion dollars during these last four years. And “spending under control” apparently meant “blowing a hole” through the federal pocketbook, with outlays of 3.5, 3.5, 3.6 and a projected 3.4 trillion dollars (through 11 months of the 2012 fiscal year). If a presidential promise falls in Washington, but the media refuses to notice, does it make a sound? Instead of cutting the deficit in half, Obama has tripled it. Instead of controlling spending, he’s raised outlays by half a trillion dollars a year, which will get much bigger when the health care law takes effect. Instead of a temporary stimulus to bridge the nation back to full GDP, we have a permanently stimulated federal government and zero recovery. It is entirely understandable that the deficit was not fixed in the first year that Obama was in the White House, the second year, the third year, and even the fourth year. What is not understandable is the absence of any coherent long-term plan, partisan or bi-partisan, to address the issue. What America got instead was another blue-ribbon commission (Simpson-Bowles) that was ignored before the ink on its final report was dry. Ironic that the President has time to tweet about the decision made by referees during the Monday Night Football game to take away the interception by a Packers player and give a bogus touchdown to Seattle. Sure, the refs made a bad call. They neglected to huddle up, calm down, and clarify the situation. But here’s the thing: the refs were managing a game, making a split-second call. In contrast, the White House had four years to huddle up, calm down, and make a plan about the deficits. Yet, nothing. There’s not even a sketch of how the White House would address this issue any differently than it has for the last 45 months. It’s just frustrating to see how football gets more presidential attention than the debt my children will pay. Americans already know this story. They just don’t see how Romney would be an improvement. You’re missing the story. I guess the question is, what is the point of this post. If the point is to show that Obama said one thing in 2009, and did something else (extended Bush tax cuts and pushed for payroll tax cuts) which kept the deficit very high, that is an acceptable argument for a political analyst. For an economist, I guess I’m wondering what you would have done. Had Obama raised taxes and cut spending, as has been done in Europe and the UK, to balance the budget, we’d likely see GDP fall substantially and another recession. The CBO’s report on the sequester shows exactly that impact. It is unclear that the spending cuts and tax increases won’t be a catch 22, bringing down GDP enough so that ever more cuts are needed to keep balance. If we take $1trillion in demand/spending out of a $16T depresesd economy, you can absolutely expect GDP to fall by 5% or more. I think the intellectual quality of this post is best symbolized by the chart that’s linked too by the phrase ‘zero recovery’. The compares the employment to population ratio between this and other recessions. The first minor objection is that this ratio isn’t really a measure of recovery. GDP is. The ratio can fall for many reasons, cultural change, an increase in productivity etc. All those who’ve been attempting to mount a non-Keynesian explanation for this recession have been trying to use narratives that revolve around the labor force being less skilled than they were perceived before the bust (Cowen’s Zero Marginal Product hypothesis) or there not being a right match between labor and capital (‘recalculation’ from Kling and various flavors of Austiran obsession of ‘malinvestment’). All these models would expect to see changes in the employment to population ratio as people ‘figure out’ the true demands of the market. More importantly, though, the minor recessions used to compare this one are too selectively choosen. Where is the Great Depression? Even if you want to mount an argument that this recession is not an analogy to the Great Depression, you should still include it if only to explain why it is *not* comparable. Note the 2nd chart on http://oregoneconomicanalysis.wordpress.com/2012/09/24/checking-in-on-financial-crises-recoveries/ which looks at financial crises based recessions including the US Great Depression and international examples. I think your ‘broken promise’ argument may be technically accurate but not really applicable in the real world. FDR, for example, may have promised to keep us out of World War but Pearl Harbor changed the reality of the situation enough to make that promise no long applicable. Thanks Boonton. I agree that there is a lot to learn from international comparisons, although am reminded that the U.S. enjoys special status with its currency. Other countries cannot cut their interest rates like the Federal Reserve did in recent years with some harsh side effects. I’m also happy to use good U.S. data as far back as possible, but official data do not extend back to the 1930s. The unemployment rate of the late 1930s is probably not as bad as shown here and thus not comparable precisely because the statisticians were not asking about labor force participation rates. If you know of any similar E-POP data to compare the 1930s to the 2010s, that would be really interesting. Thanks for your response Tim. The US’s status here is not as ‘special’ as you imply. The Fed controls the short term interest rate but cannot control longer term rates. If the market thinks the Fed is printing money too rapidly, they will bid up long term rates. Even other countries are only limited to the degree they are forced to borrow in some other country’s currency. I’m not sure why you would be focused on the unemployment rate of the late 1930’s. We are 4 years past the start of the recession, not 8 and the graph indicates we are better than we were in the Great Depression. I can’t speak for the quality of labor force participation data in the 30’s. But we are not allowed to pretend reality doesn’t exist just because we lack data about it. We have to ask ourselves did population change dramatically during the period between 1928 and 1935? It did not. So what would have probably happened had we good data? We probably would see a decline in the employed v population ratio. In other words, the Great Depression is a valid comparator to the Great Recession And other non-financial crises based recessions are a bit like comparing recovery from a bad cold to recovery from menningities. There was no, repeat, NO Simpson-Bowles recommendation. They did not even hold a vote on it because the Republican opposition lead by Ryan was so overwhelming opposed to it. Rather their was a paper put out under the Chairman’s signature. The federal deficit as a share of GDP peaked in 2010 and has been falling in 2011 and 3012. That puts things in a little different perspective than your use of nominal dollars. Full implementaion of Obamacare will cut our longterm defecit as a dollar value gets placed on our heads much like the NHS of the UK. Bringing some sanity to what we spend on healthcare in this country while maintaining the current level of taxation will bring the budget quickly back towards balance. People will have less spent on them in Medicare and they will collect less Social Security because they will die on time. Hate it because I’m in my mid 40’s and I recognize that I will not get the same level of care that my parents currently enjoy. The only solution to this issue is to allow significant immigration by the young coupled with GDP growth. Not for nothing Bryan but if given a choice between being in my 70’s in 2040 or being in my 70’s in 1980 I think 2040 will be the better deal. And there’s no evidence that people die sooner in the UK due to the NHS thereby saving on social security. What kept the deficit very high was GDP falling off the cliff, along with huge increases in federal spending. With the ‘Bush tax cuts’ in place in 2007, tax revenues were about 18-1/2% of GDP. They’re nowhere near that even after 3 years of (official) recovery. Btw, I love the circular reasoning that goes into the story of, This Time is Different. First, we look for recessions that featured slow recoveries. Then we call those, ‘financial recessions’. QED, recovery from ‘financial recessions can be expected to be slow.